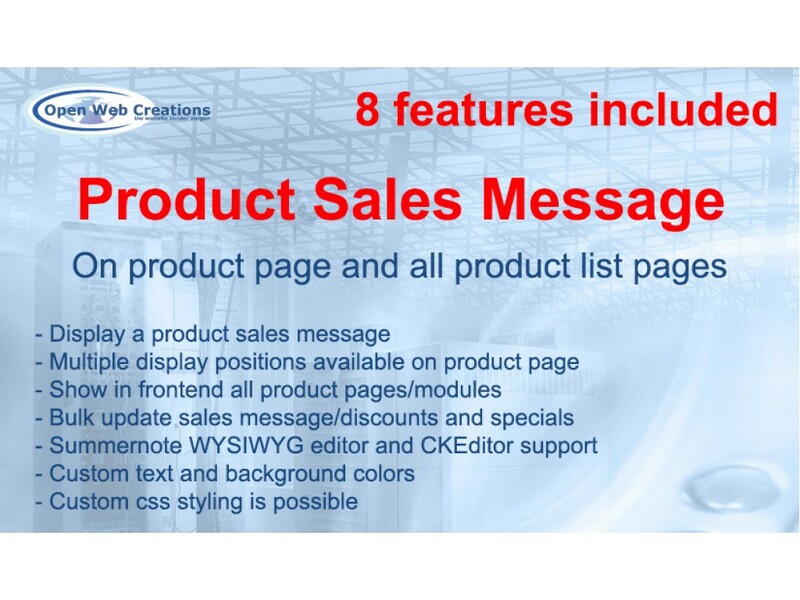 Product Sales message extension is a very good improvement for displaying product sales messages on the product page and on all product list pages like Category, Manufacturer, Search, Special, Bestseller, Featured and Latest. This extension will add an extra sales message field (Summernote/CKEditor WYSIWYG editor support) into you admin product page so you can make nice sales messages. It is also possible to temporarily enable/disable the sales message for each product, so you can reuse is later. 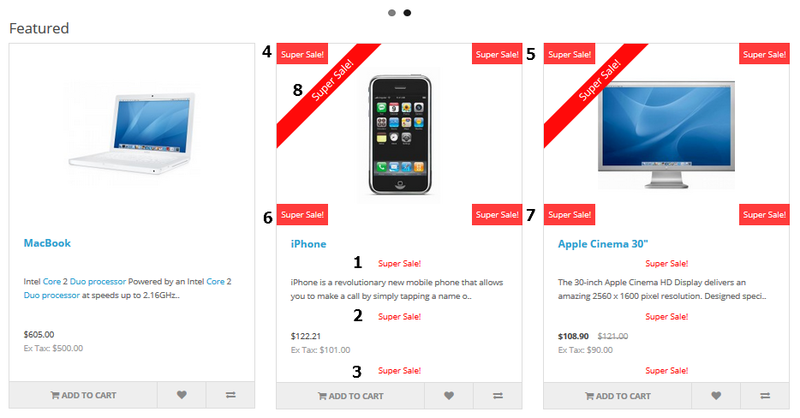 Custom styling is possible on all sales message like padding, font size and color. 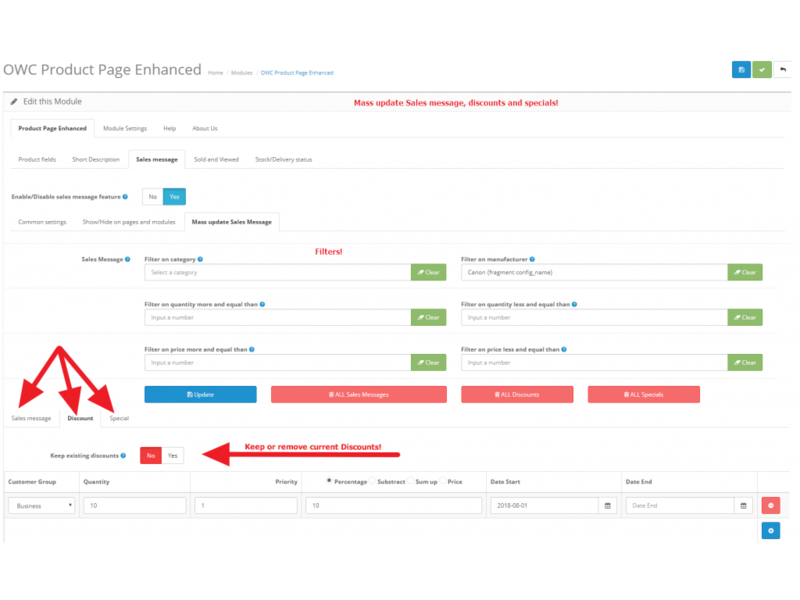 Each sales message can be temporarily enable/disable within the admin product page by a button or by using a start and end date, so if you don’t use the sales message, you can disable it instead of removing it. Together with a product discount/special, using the same start and end date, you can make a nice sale announcement. 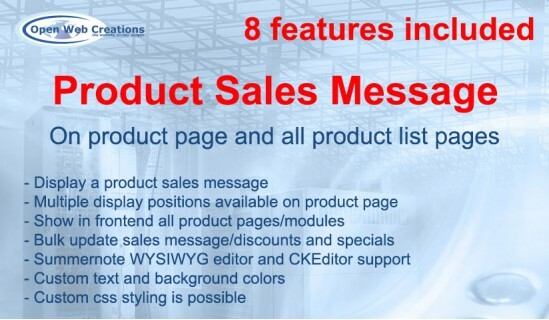 You can configure the text and background color for all sales messages. When using the position as a label, you can configure a different set of text and background color. Other custom styling is possible on all the fields together or seperatly like padding and font size. Especially when you have a lot of products, this feature is very nice. You can bulk update products and change the Sales Message of all products or only products from a special category/manufacturer at ones. You can also use the price and quantity more than and less then filters. As an extra feature you can also add/remove product discounts and specials. With the clear buttons you can clear all sales messages, discounts and specials for all products. The discount/special price calculation can be done by a percentage, substract or sum up with the product price or you can set a new price. 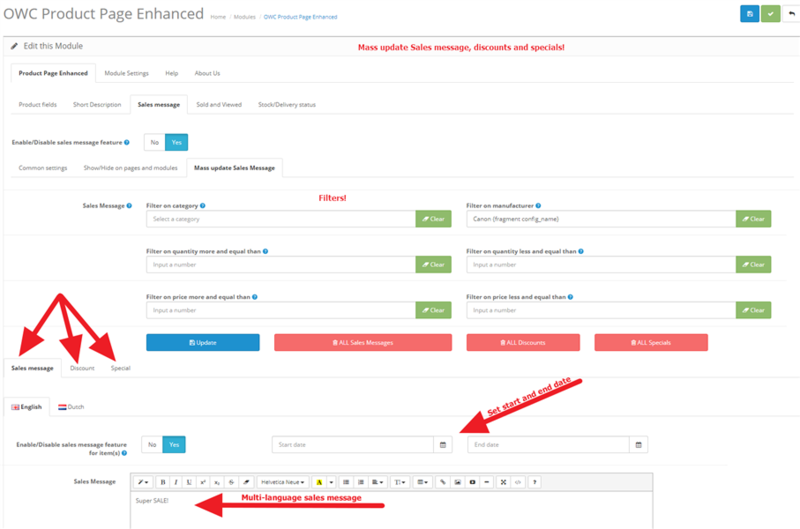 To quickly access the bulk update sales message feature, a button in the right top cornor is added on the admin product list page. You can enable/disable this feature througth the extension settings. 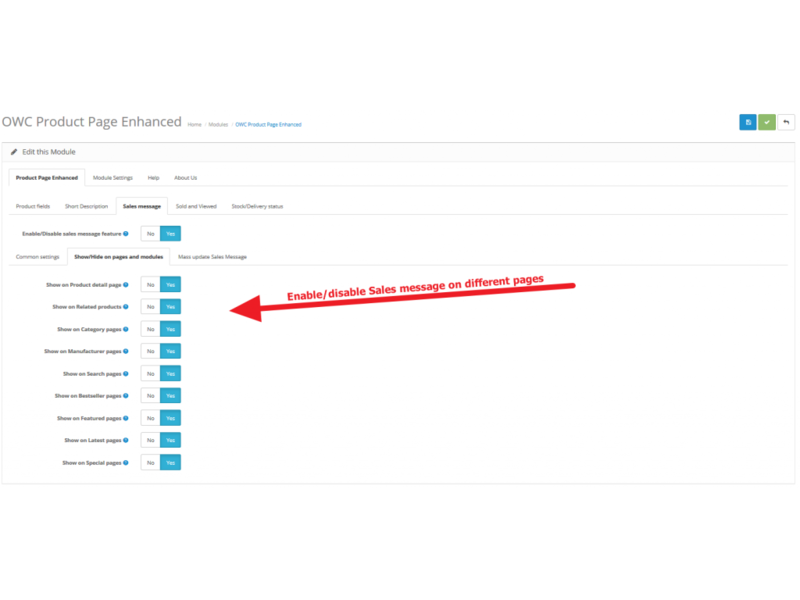 In the admin product list, you are able (enable/disable through extension settings) to see the sales message in the price column. This way you can see which products have a sales message and if they are enabled (green) or disabled (red and crossed out). 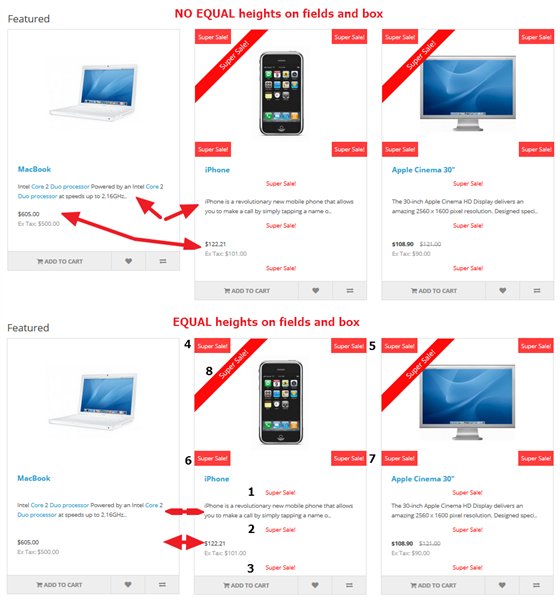 When you display extra fields for each product in the product list pages, the product box can have different heights. To make them the same height for better alignment, you only have to enable this feature and they will be set to the biggest height. CKEditor is WYSIWYG editor that brings common word processor features directly to your web pages. Enhance your website experience. The CKEditor is not included and can be ordered at CKEditor! 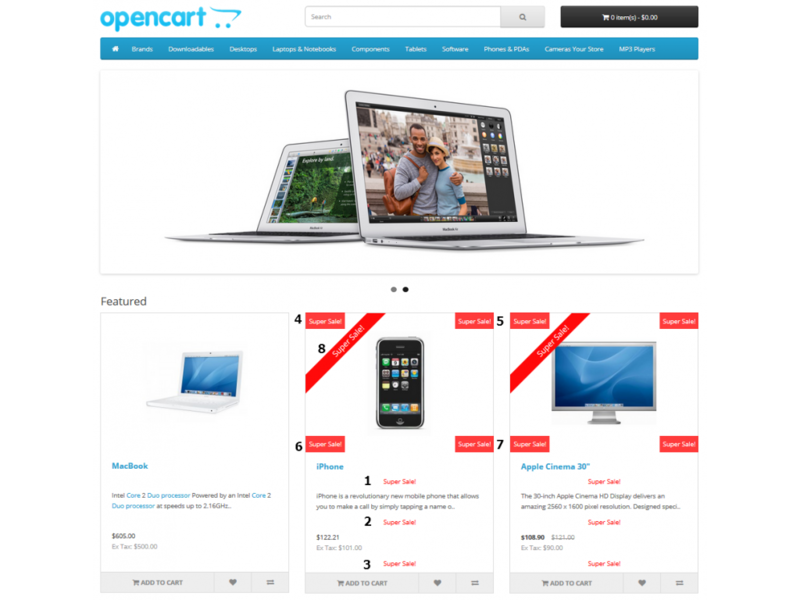 Compatibility: Product Sales Message extension works well in OpenCart version 2.0.0.0 and above. 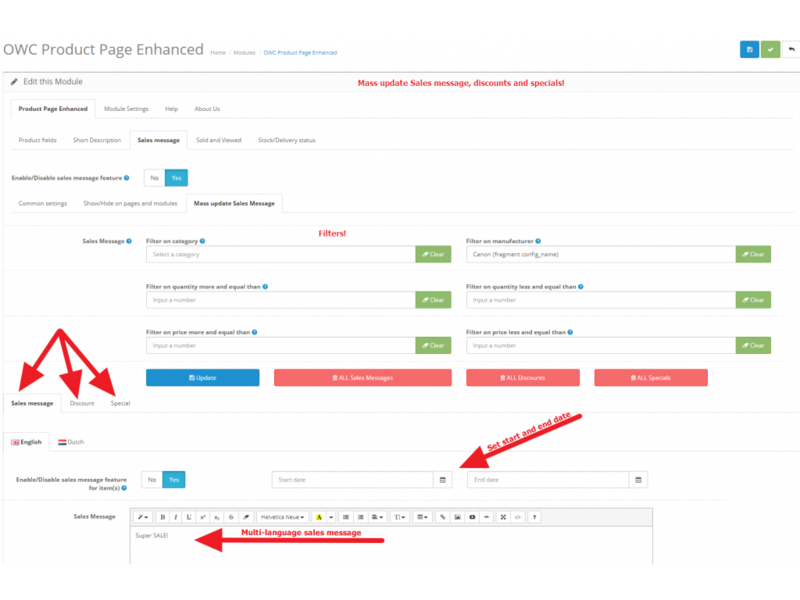 Admin manage: The sales message can be used on the product page and on all product list pages and can be enabled/disabled seperatly. 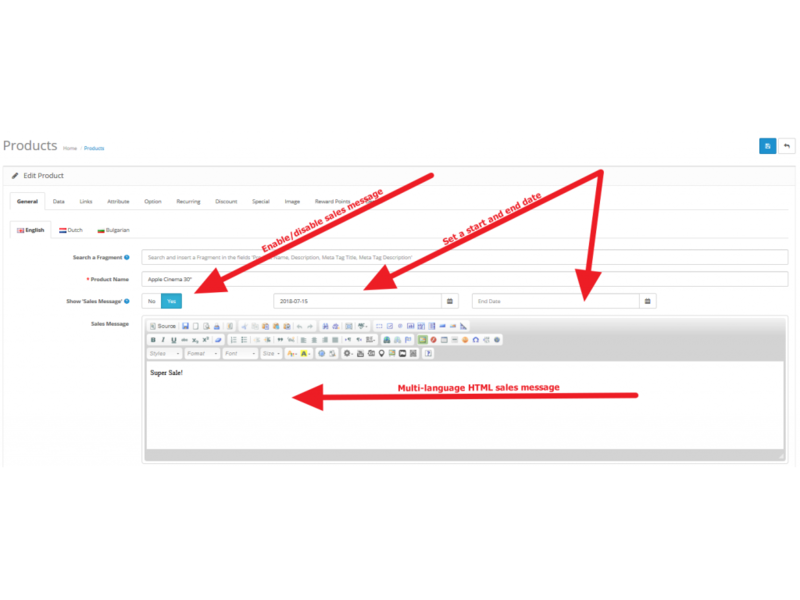 Also the length of the sales message can be specified.Summernote/CKEditor WYSIWYG editor support. 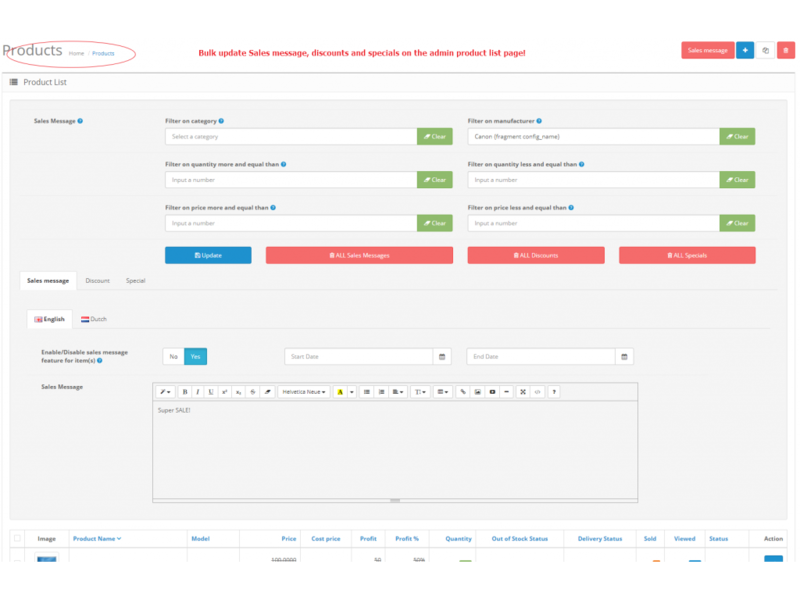 Admin product page: It is also possible to temporarily enable/disable the sales message for each product, so you can reuse is later. 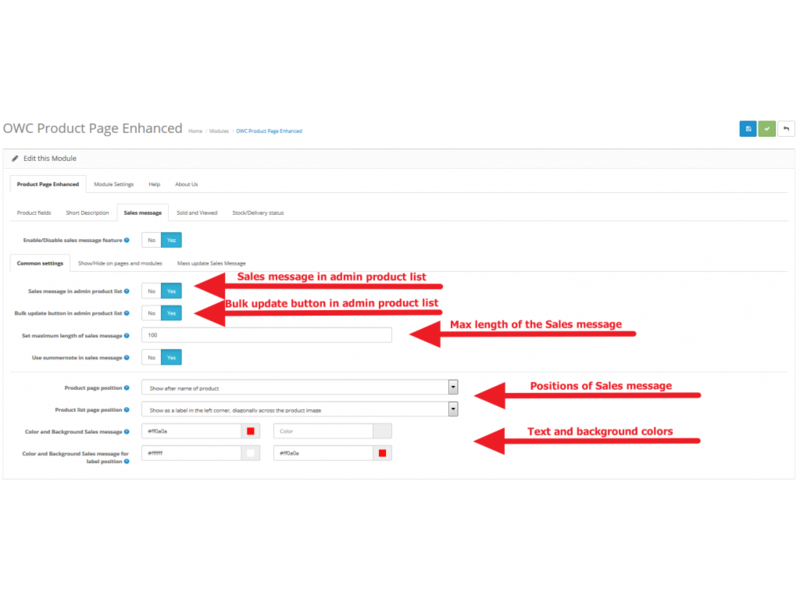 Enable/disable: Each sales message can be temporarily enable/disable within the admin product page by a button or by using a start and end date. Bulk update: Especially when you have a lot of products, this feature is very nice. You can bulk update products and change the Sales Message, Discounts and Specials of all products or only products from a special category/manufacturer at ones. 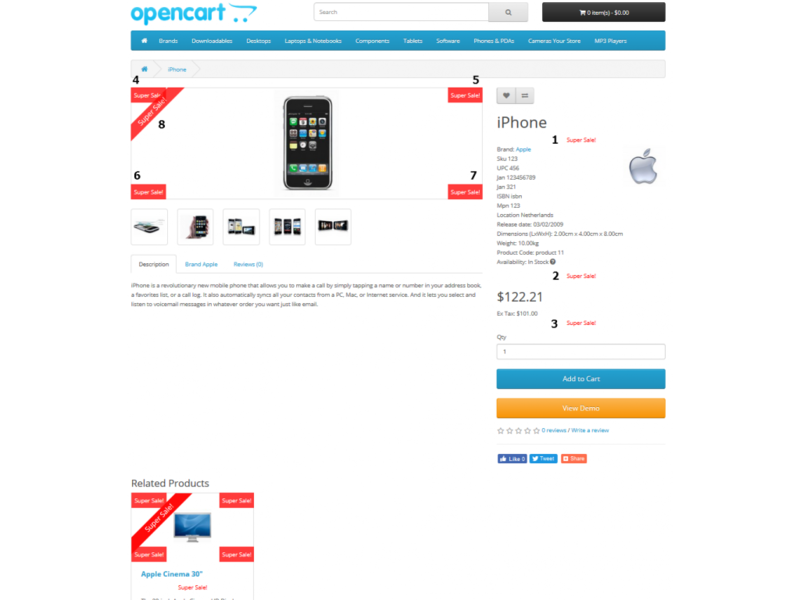 Admin product list: You are able to see the sales message in the price column. There is also a quick access sales message bulk update button available. 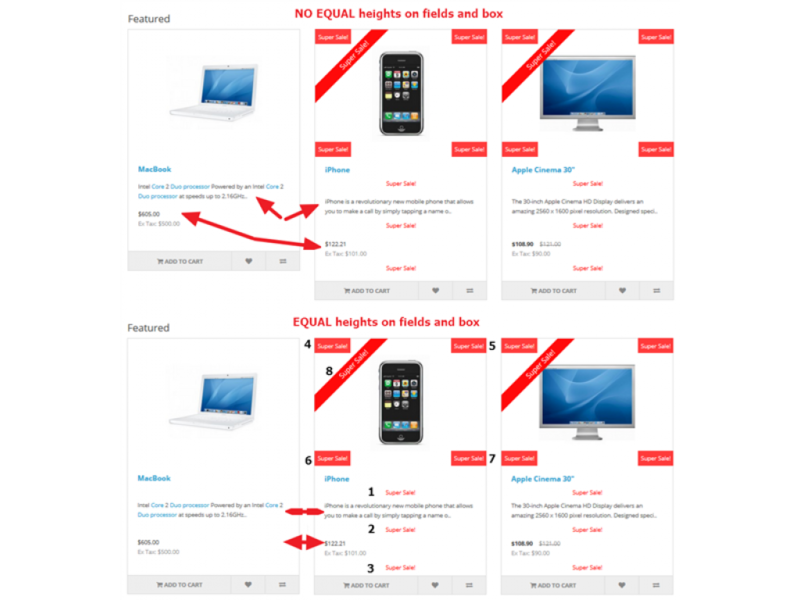 Equal Heights: Equal elemen/box heights on product list pages so they look nice. 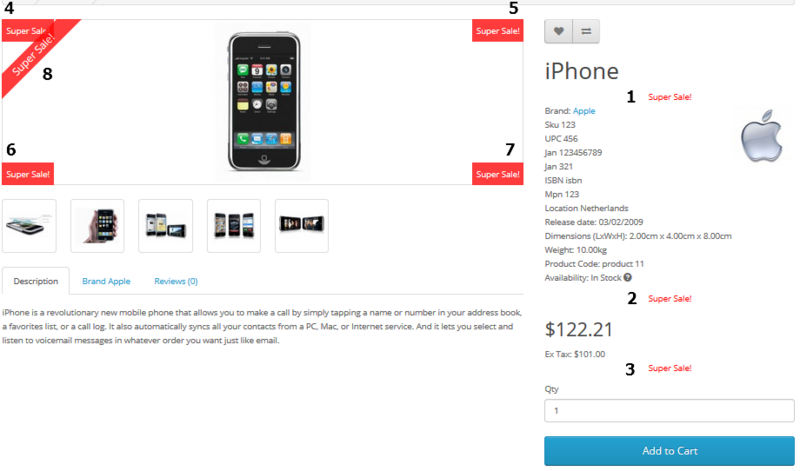 Custom styling: Custom styling is possible on all sales message like padding, font size and color. CKEditor is a WYSIWYG editor that brings common word processor features directly to your web pages. Enhance your website experience.